Some people are dog people. Some are cat people. I am both, but for many years we have had only cats because we have so many outside the home responsibilities and cats are better with being home alone. For eight years I rode in a semi with my hubby around the 48 states and Canada and we had no pets. I have since settled with our adult hearing-impaired daughter in her apartment (not exactly by choice, but by God’s loving provision, and that is another story for another time). We built a house and now hubby has a place to come to when he can get off the road. Victoria I have been blessed to become housemates with Ruth, a Siamese/Tabby mix she got from a shelter to be a hearing aid cat. If you’ve never hear of a hearing aid cat, you’re not alone. She hoped to be able to train this kitty to let her know when things are happening that she might not be able to hear. We also hoped Ruth would be a good friend and companion for Vicky as a single young woman. Well, I’m not sure who is getting trained all the time, but this cat is daily a wonder and a blessing from God. She runs to the door anytime anyone is approaching or making noises outside. She always knows when it is time for “mommy” or “grandma” or even “Grandpa” to come home and sits waiting at the door for that happy occasion. She even lets us know when it’s time to get up mornings with a jump on the bed or a pat on the face (or whiskers in the face or a lick on the eyelids). Ruthie is very vocal and lets us know by meows that sound a lot like words sometimes that we need to get ready for work or shut a window or door against loud noises (she doesn’t like mowers or trash trucks). When anyone is sick she will sit with them on a raised recliner seat sharing fuzzy warmth. And sometimes she goes off and leaves us alone. Service gives opportunities for praise and reward (All a cat asks for in return for being our living alarm is meals, treats, “rubbies,” and occasional “conversations” because she is so vocal). It doesn’t take much to be a mood-lifter (just seeing her on “bug patrol” by the front door or having her curl up next to you is enough). Comfort doesn’t mean smother (She’ll sit at the very edge of the bed or seat and not intrude on what you’re doing). Active time (running up and down the stairs was one of her favorites), social time, and alone time are all important. Life is about balance. Ecclesiastes 3:11 says He has made everything beautiful in its time. So it is with Ruthie. I haven’t written an actual “writing” post for awhile. As I posted not too long ago, it’s been a year of upheavals and little or no writing for me. Still, I have picked up a few ideas for writers in my stumbling, fuddy-duddy way, that might help. I tend to discover things other people have known and used for a long time, and one of those is Instagram. Unfortunately, I discovered it after I dunked and destroyed my first and only smart phone. I’m back to a regular old keyboard phone for now. I joined a group of authors on a lovely new blog called Candidly Christian (see my first post here) http://candidlychristian.com/life-lessons/ . Or so I thought. I do know that in the world of devices there is usually some kind of workaround. It didn’t take long to discover that there is indeed a Chrome extension for Instagram that works on laptops and desktops. The picture at the top of the article, which is Ruth, daughter’s “hearing-aid” cat, referred to in my first Candidly Christian post, is also my very first Instagram post. I know, I know. In the future I will crop and clean up images better. But I like to share my struggles as well as my successes with struggling fellow writers. Here’s my Instagram profile. https://www.instagram.com/marycampagnafindley/ It’s lonely over there, and I’d appreciate follows and whatever else you do on Instagram. (still figuring that out.) And pointers. And, oh, dear, I hear there’s something called Snapchat! eeps! “And the cat is important because…?” Sam wanted to roll his eyes. Again with this cat thing. “Get him out here right now.” Grace’s eyes went hard. Blog Fun: If you write Christian fiction, please join our linkup! Copy and paste the little description below, and remember … be social and leave comments for some of the other writers who participate! 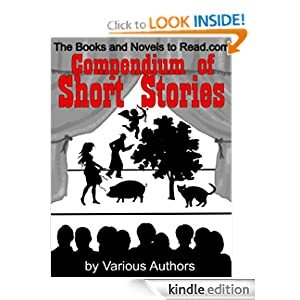 Presenting a collection of short stories featuring two by Mary C. Findley. Look for “Most Fortunate of Men” and “My Lord’s Table,” in this eclectic collection. Companion stories, these two tales begin with a young woman waiting ten years for her betrothed to return from war. But will he return? Will Jael have to go and ransom him back? Will he even be alive? Will the handsome enemy prince claim her for himself? In “My Lord’s Table,” yet another war tears apart the life of a country estate owner when a mercenary invades his home and threatens his peace for food, and perhaps much more than Lord Caleb is willing to give. What will it take to stop a man who smells victory and wants its spoils all at once?